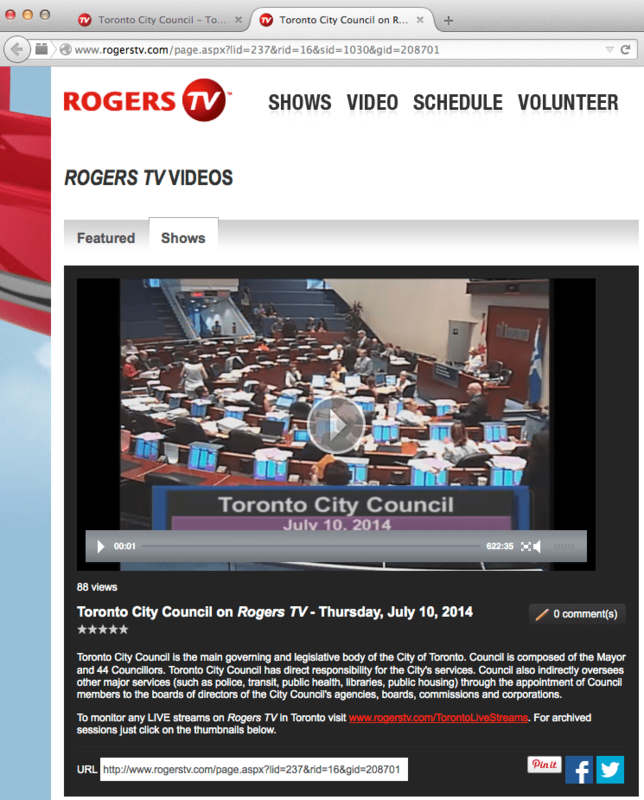 Go to the page with all the City Council videos and find the video you want to download. For this example, let’s use yesterday’s meeting. 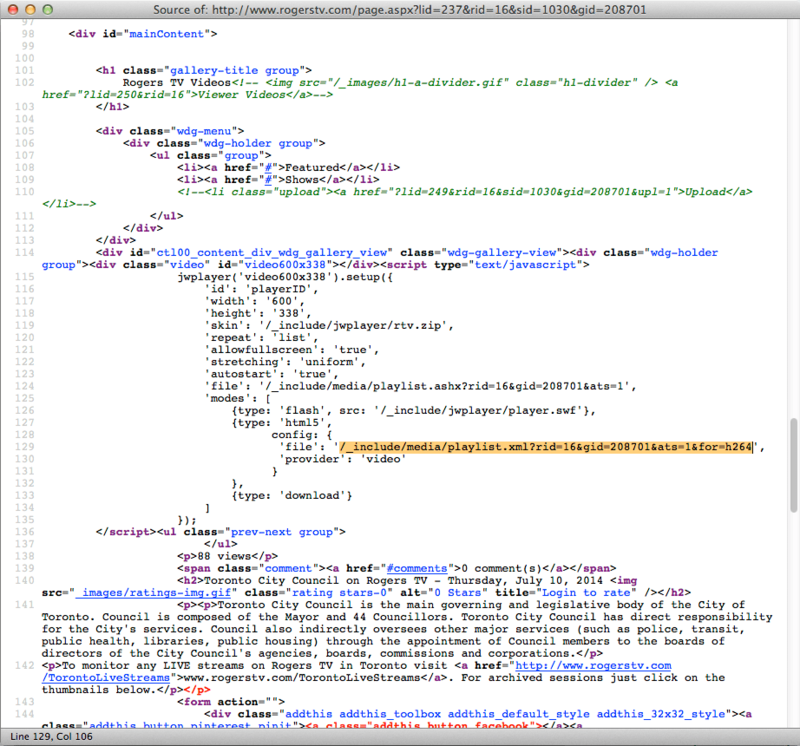 You’re going to need to look at the page’s “source” — the HTML itself. Generally, you just right-click on a blank area of the page and choose “View Source” or “View Page Source”. If you have trouble, here’s detailed instructions for various web browsers. Scroll down until you find the part that looks like the screenshot above. It’s a list of the video player properties. Copy the snippet at the part I’ve highlighted in orange. It’ll start with 'file': '/_include… and end with h264. 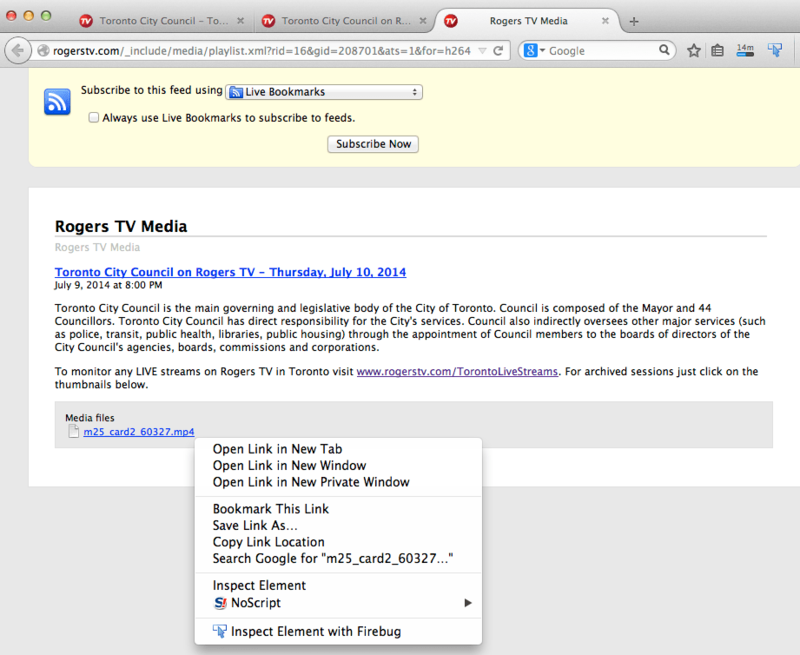 Open a new tab/window, type “rogerstv.com”, and paste the bit you just copied. (See the address in the screenshot for what it should look like.) At the bottom of the page there should be a link to the actual video file. Right-click and choose “Save As…” or “Save Link As…”. Warning: it will be a very large file, probably several gigabytes, so don’t try this at Starbucks. You probably want to save or use a specific clip in your preferred video editor. (I like Openshot, but that’s only for Linux; however, you’d be amazed what you can do with VLC.) If you’re not sure how, Google “trim video” plus the name of whatever you’re using. Enjoy!